The 40th Annual Seal Beach Christmas Parade is now in the record books with 3,259 participants and what seemed to be the largest crowd of spectators ever. Main Street was filled with Holiday Spirit as people enjoyed the showcase of our kids, local business, bands and dignitaries who all brought great joy to our community. “What I love most about our parade is the volunteers and sponsors who give of their time and treasure to make this such a successful event. More than 150 volunteers from the Lions Club, SBTV-3, SBPD VIP’s and Explorers expended over 900 hours to make the parade a success,” said Scott Newton, parade chairman for the Seal Beach Lions. 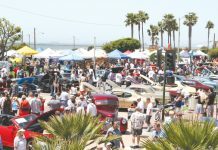 Newton thanked the city of Seal Beach, the Lions’ co-sponsor, Original Parts Group, Inc., which was this year’s presenting sponsor. 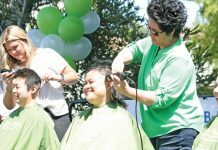 Newton said the city’s Public Works and Police department did an outstanding job managing the streets, closures and traffic rerouting for the event. “I want to also thank the businesses and residents for their patience and understanding as our town played host to so many parade spectators. So many of these folks are the ones who spend their money in our town or wish that they too could live in ‘Mayberry by the Sea’,” Newton said. There were no incidents during the parade, and just one call for service related to chairs being out too soon, according to Seal Beach Police Sgt. Michael Henderson. 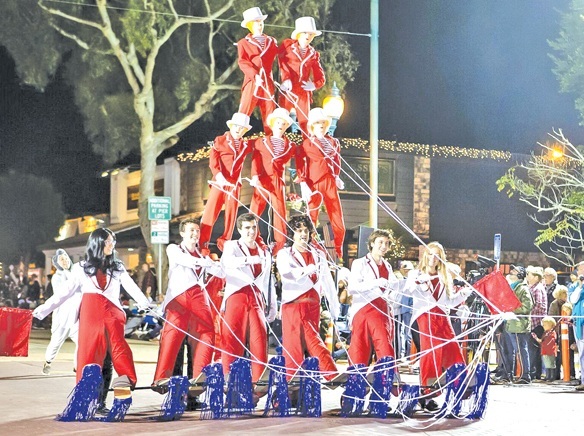 At Monday’s council meeting, Newton described the parade as a cooperative effort by the Lions and the city of Seal Beach. He praised city staff for replacing parking signs that were destroyed by the rains that took place the night before the parade. Mark your calendars for Dec. 6, 2019 when Seal Beach celebrates the 41st Annual Christmas Parade on Main Street. 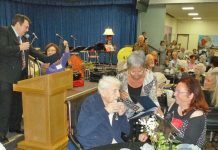 Scott Newton is parade chairman for the Seal Beach Lions Foundation.